Similar to a locker, the limited slip will also enhance the traction of your vehicle. The difference, however, is that limited slips will only engage when you have a spinning wheel, transferring more torque to the non-slipping one. 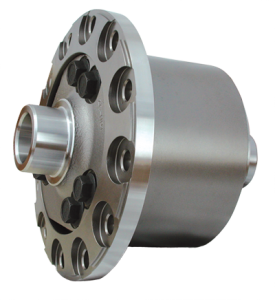 The limited slip differential is perfect for driving in severe road and weather conditions such as ice or snow. Ideal for the daily driver that doesn’t need the same traction power as a race car or off-road vehicle. All of our limited slips come with a full manufacturer’s warranty.